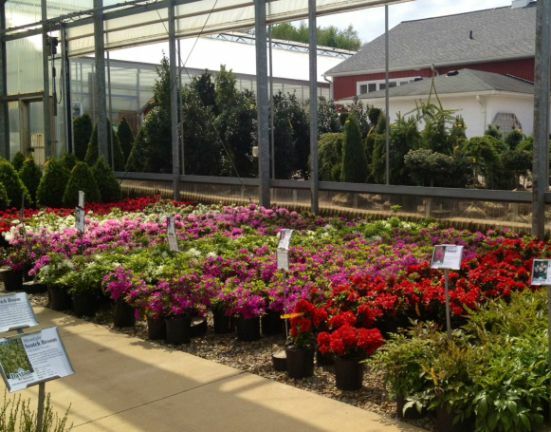 Spring is what we work so hard for! 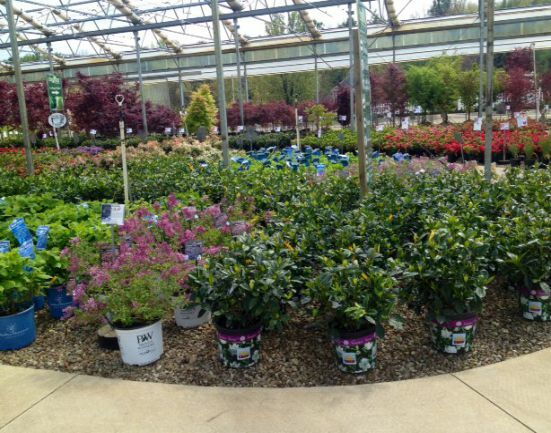 The spring months are what we work for! 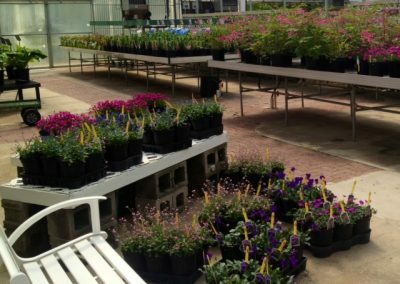 Between planting up thousands of plugs and unloading various truckloads of plants, we stay very busy getting ready for YOU! 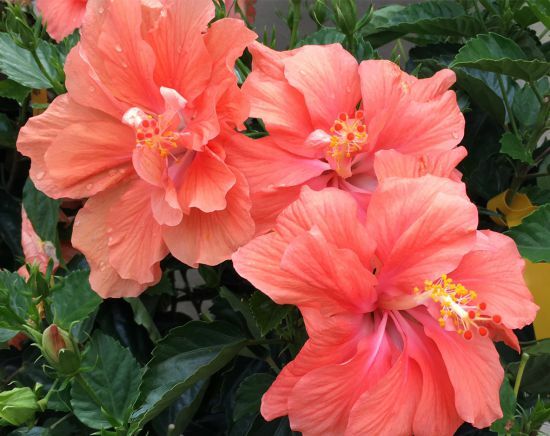 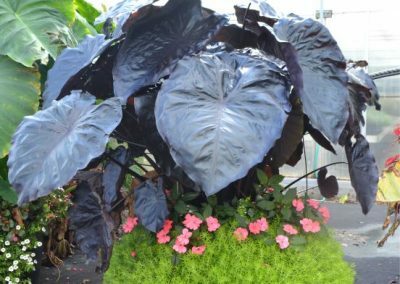 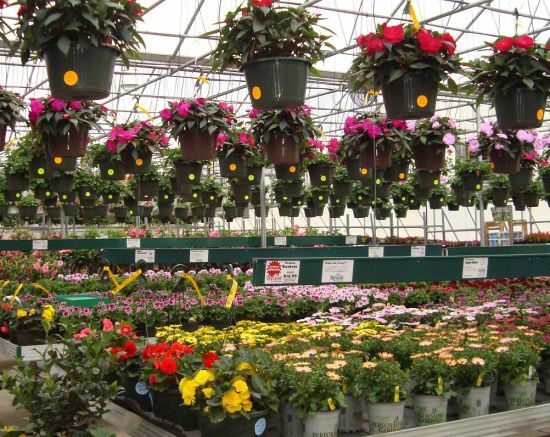 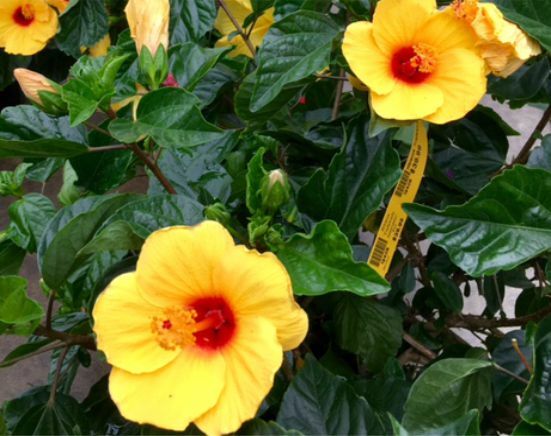 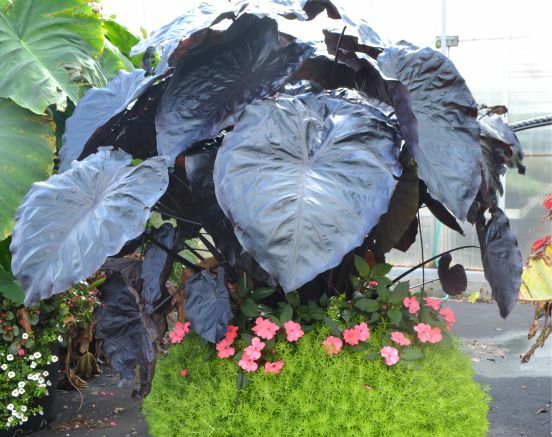 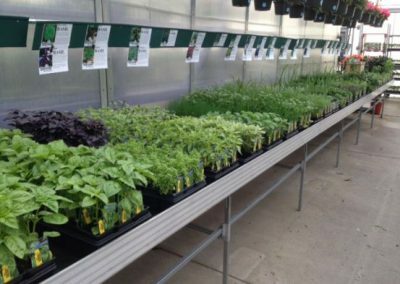 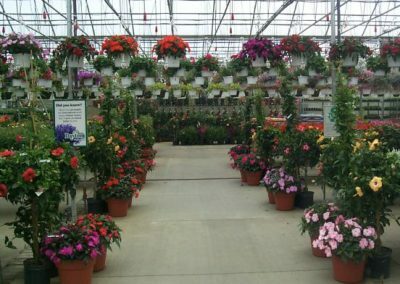 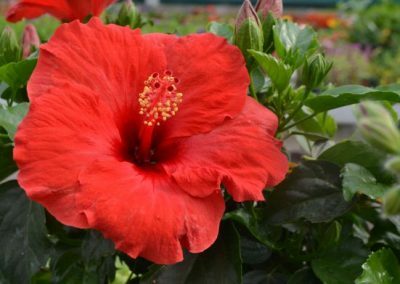 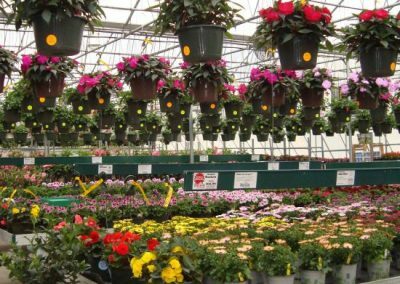 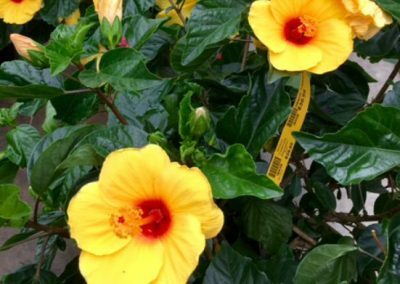 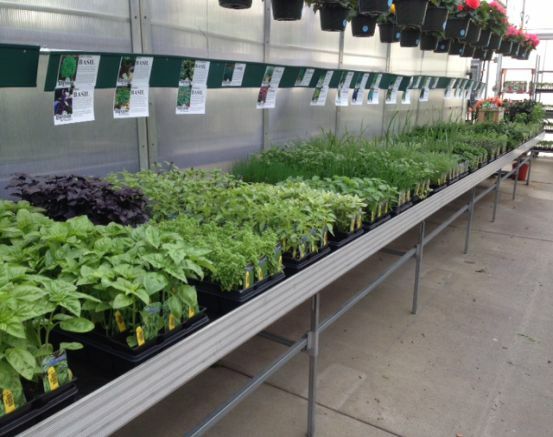 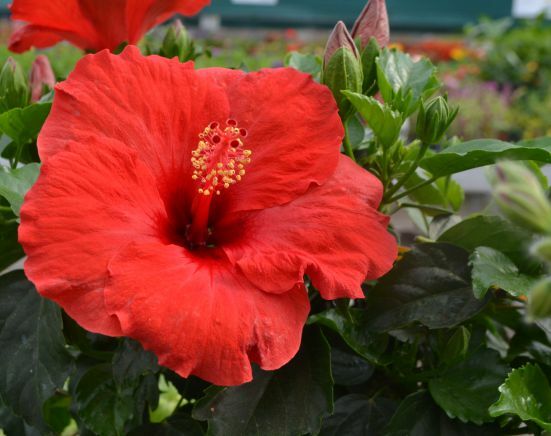 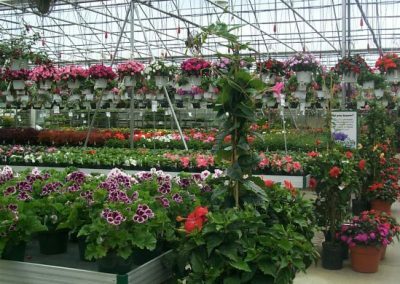 Near the end of April we open up our famous 17,000 square foot greenhouse filled to the brim with annual flats, potted flowers, hanging baskets, tropical hibiscus, herbs, veggie plants and so much more! 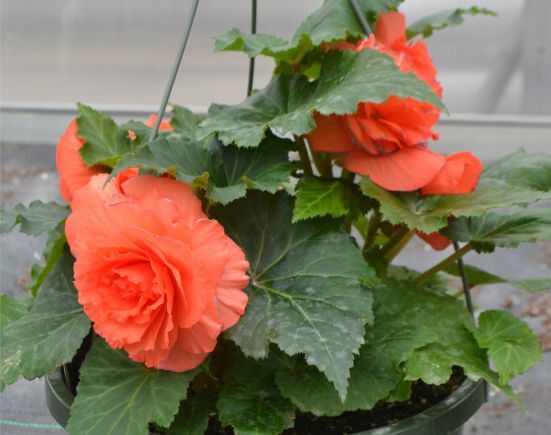 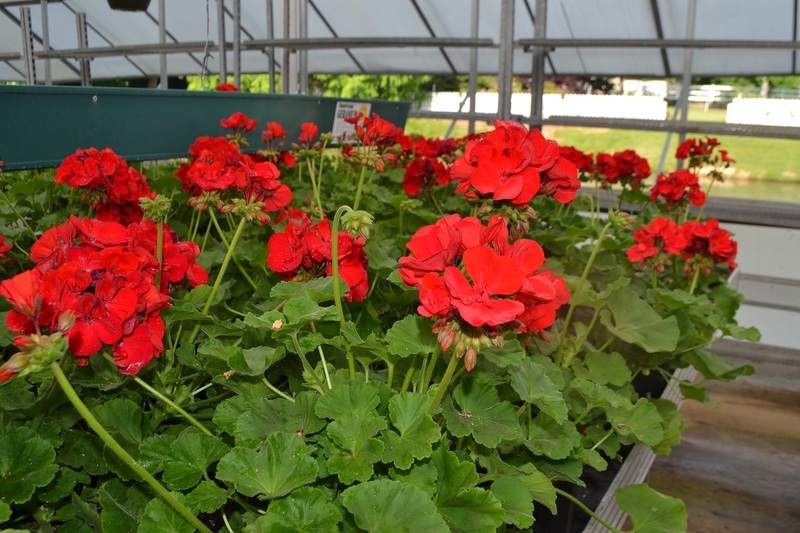 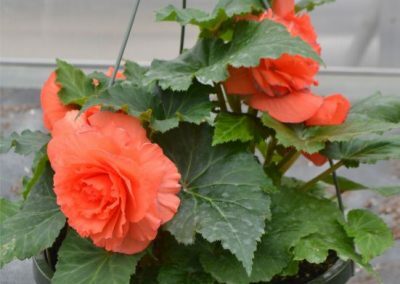 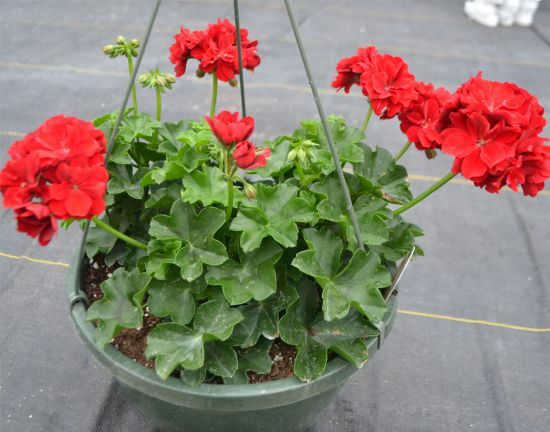 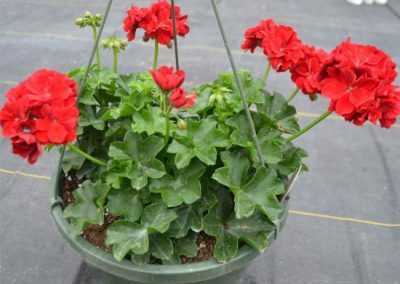 Our famous potted and hanging geraniums will also be available that have been growing in the back greenhouses since winter to give them plenty of time to fill out. 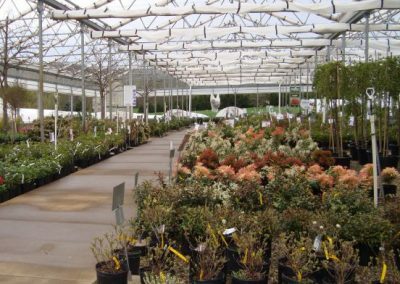 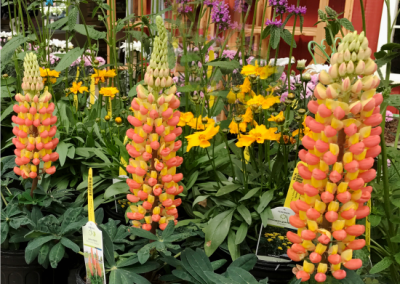 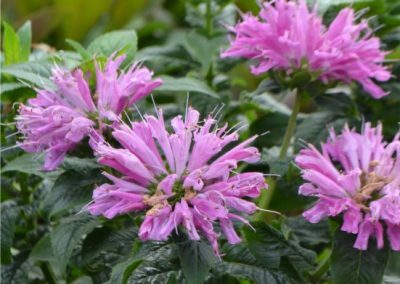 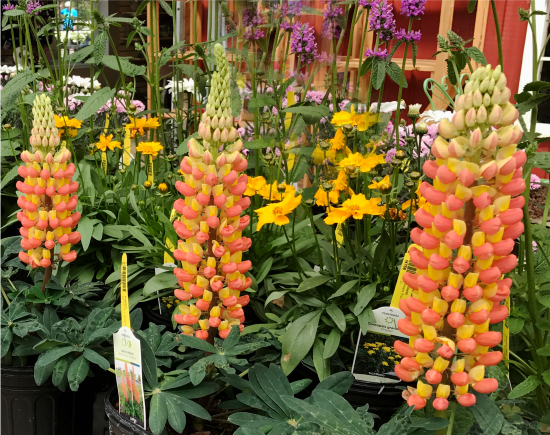 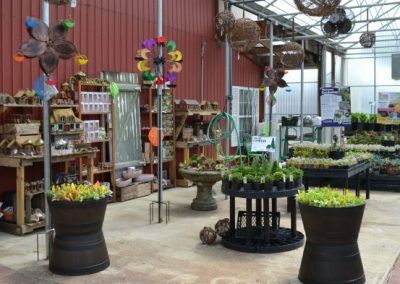 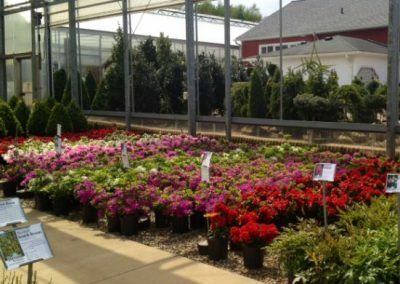 We are famous for our Rhododendron and Azalea selection, our lush home grown geraniums and one more thing… perennials by the tens of thousands! 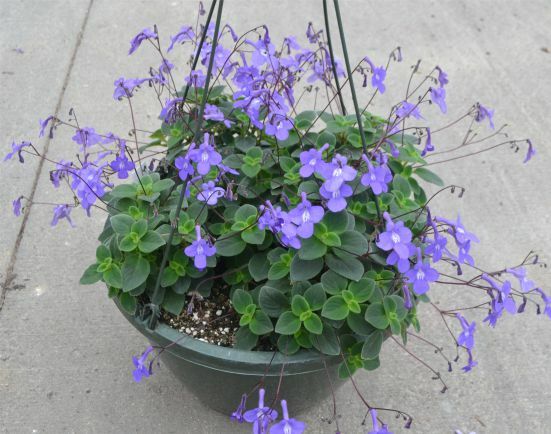 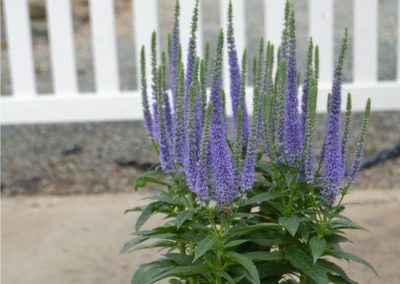 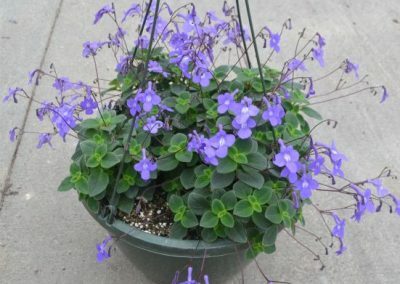 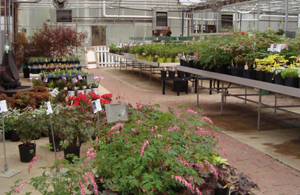 Our perennial selection is unique as they are displayed alphabetically by genus (plus a seperate shade section) in our 14,400 sq. 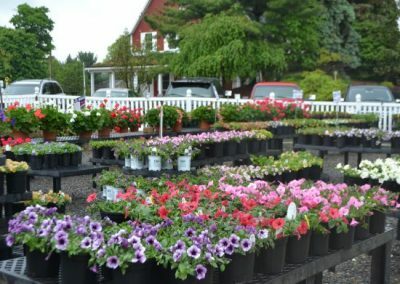 ft. greenhouse plus most are grown right here at the nursery from plugs during the months of February, March and even the summer and fall prior. 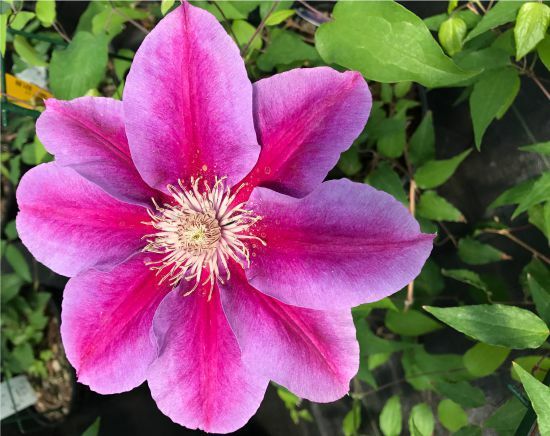 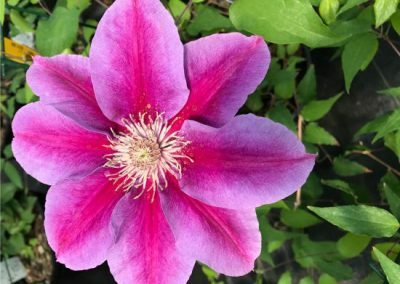 Clematis is another specialty of ours. 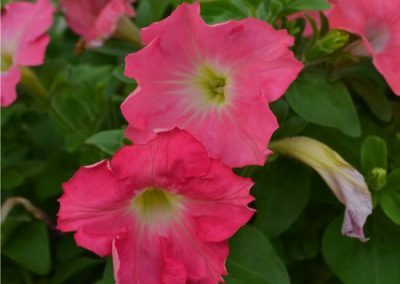 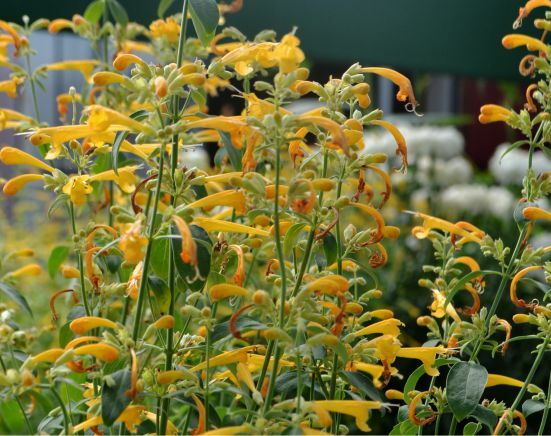 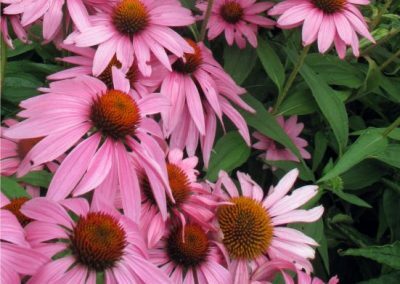 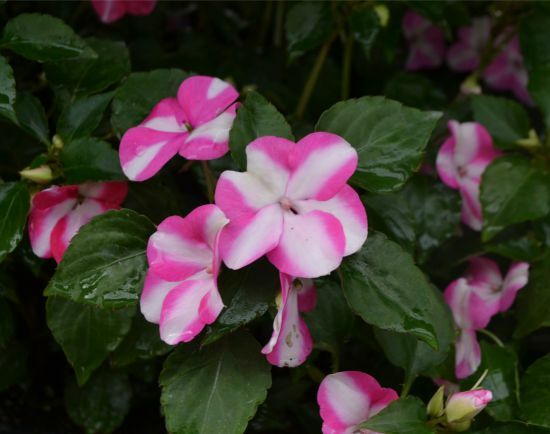 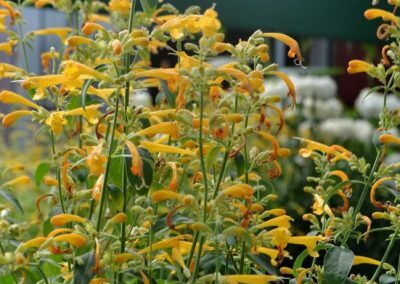 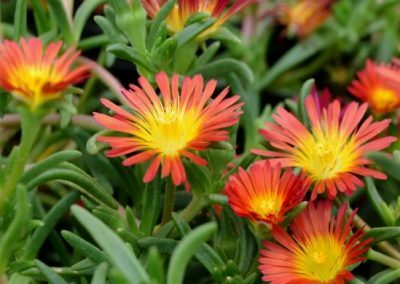 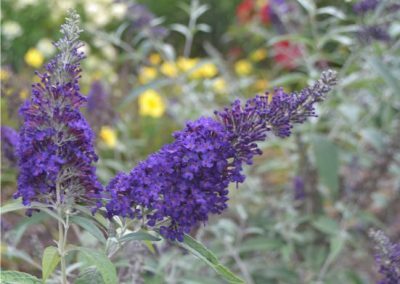 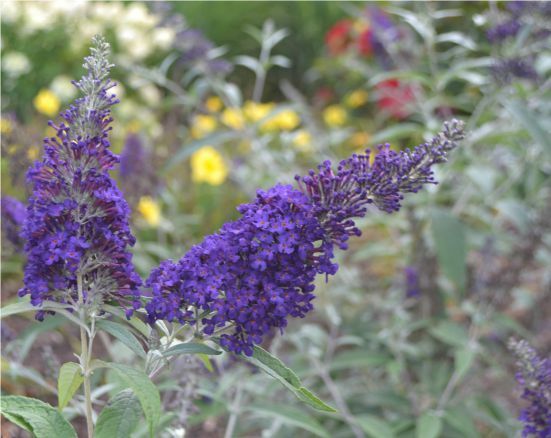 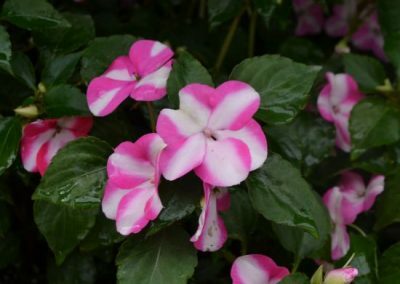 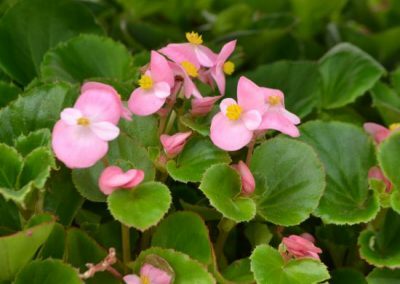 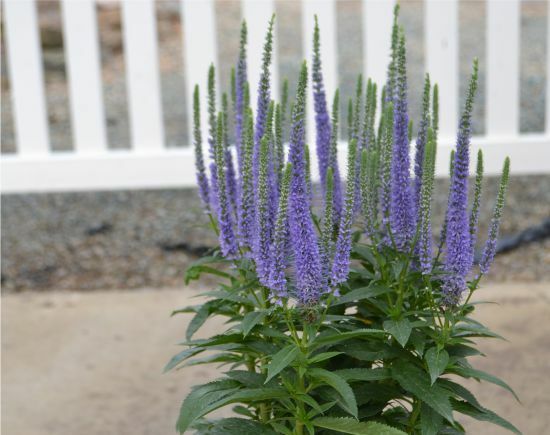 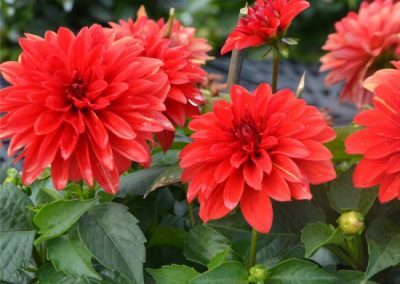 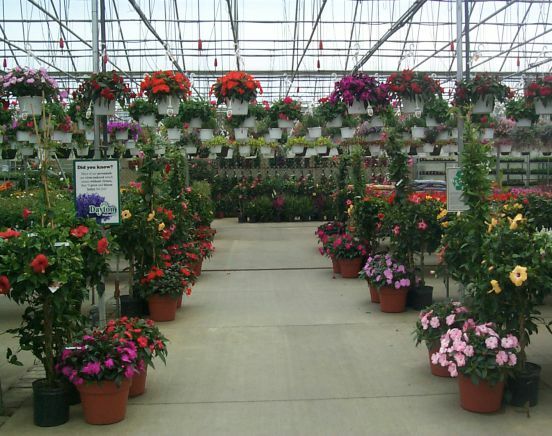 On any given year, we average 50 or more varieties ranging in flower color, bloom time and habit. 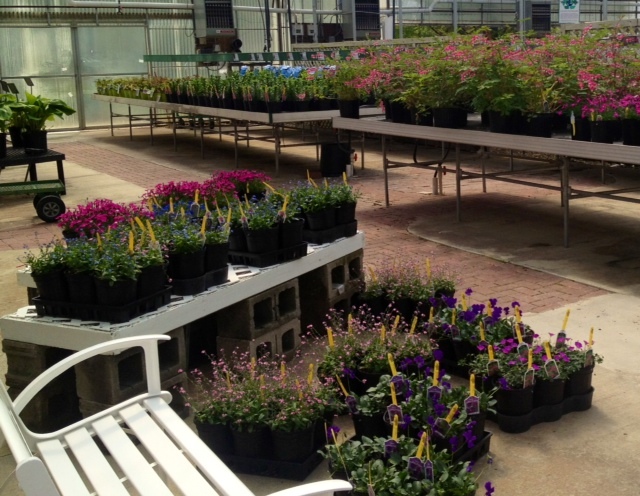 Plus, they take up the entire first bay of the greenhouse! 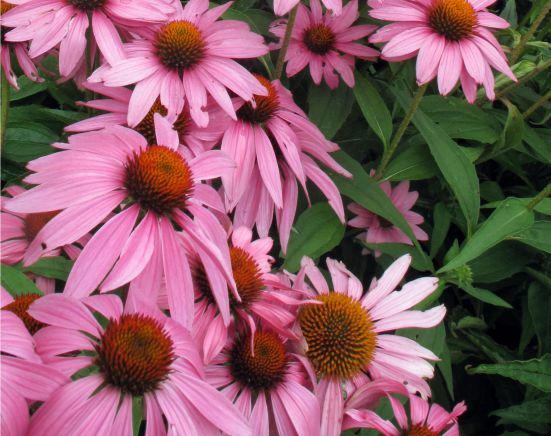 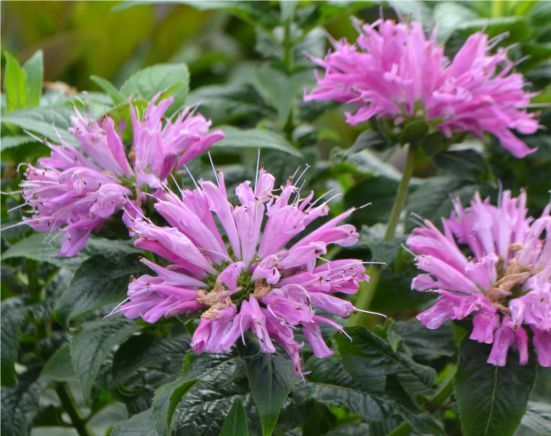 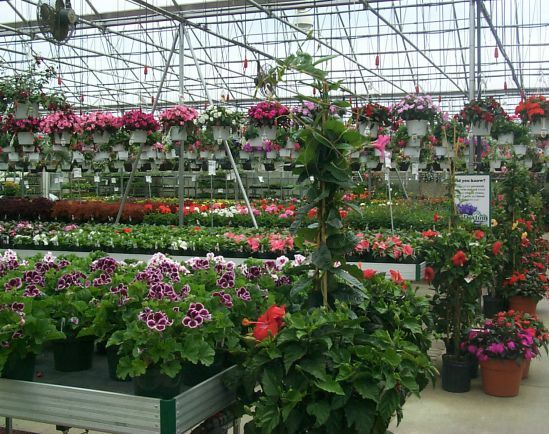 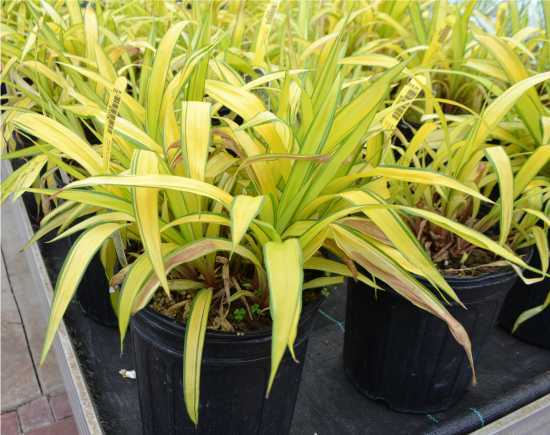 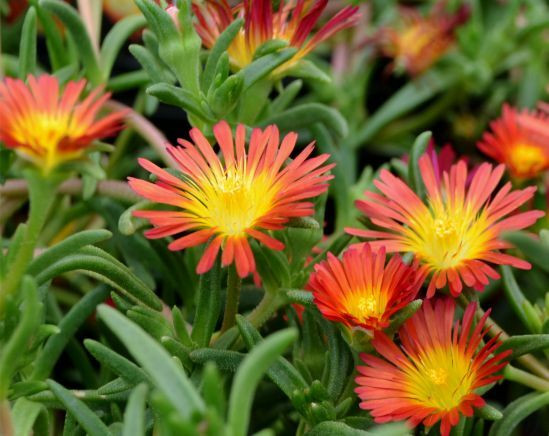 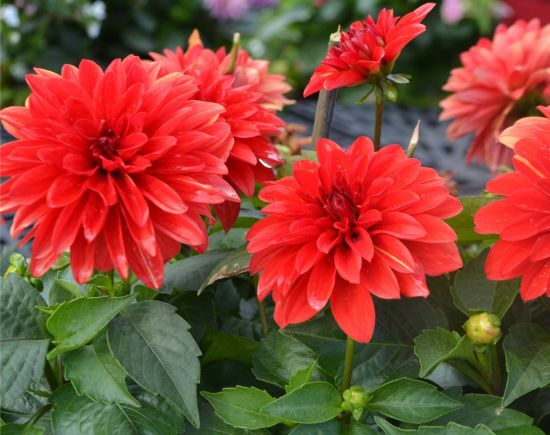 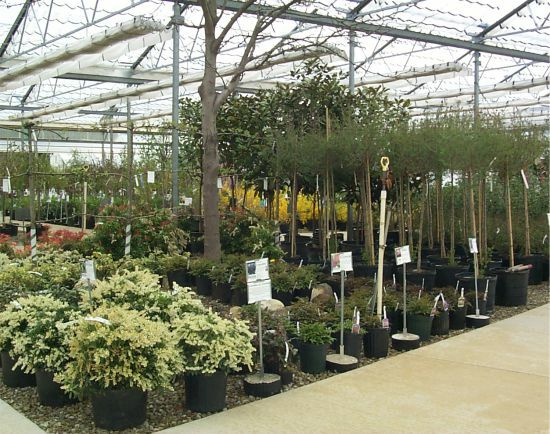 We source our perennial plants from all over the globe. 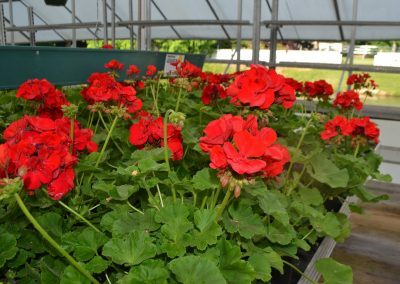 While most of the varieties are bred here in the U.S., many spectactular varieties can be found in countries such as the Netherlands and the U.K. 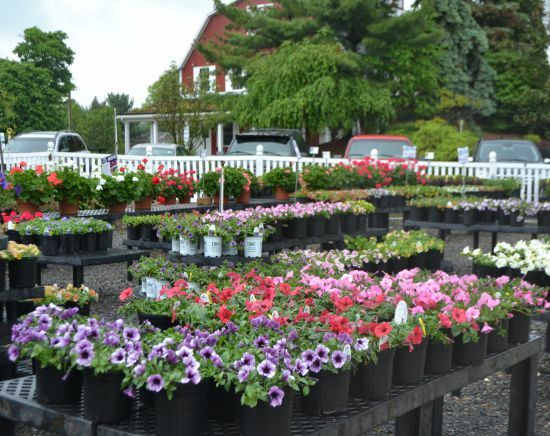 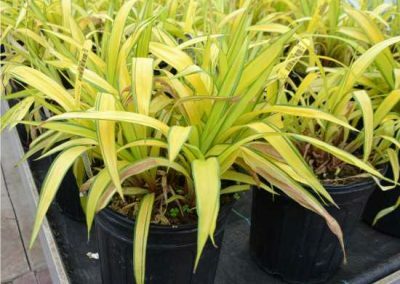 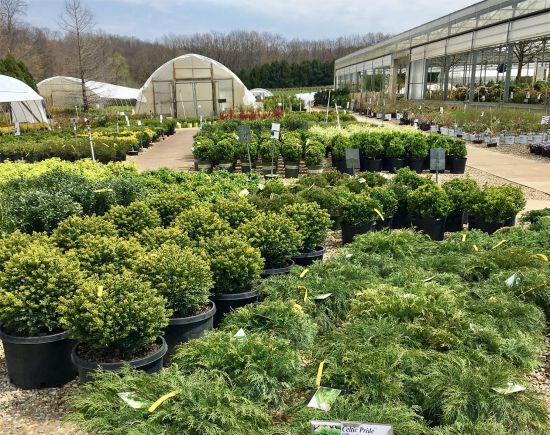 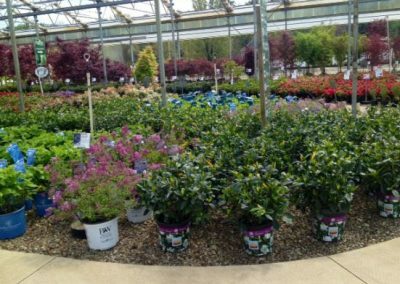 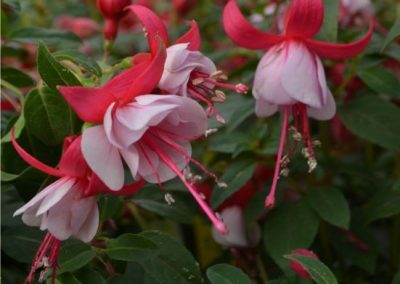 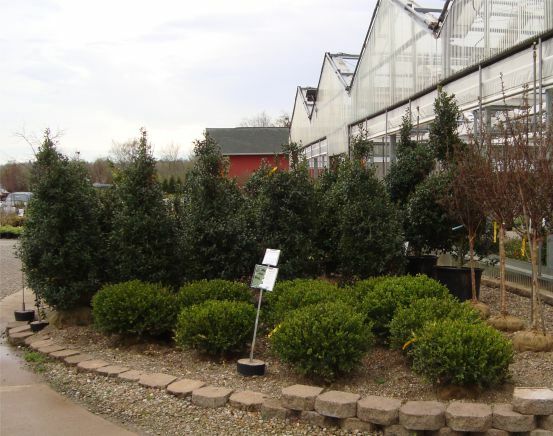 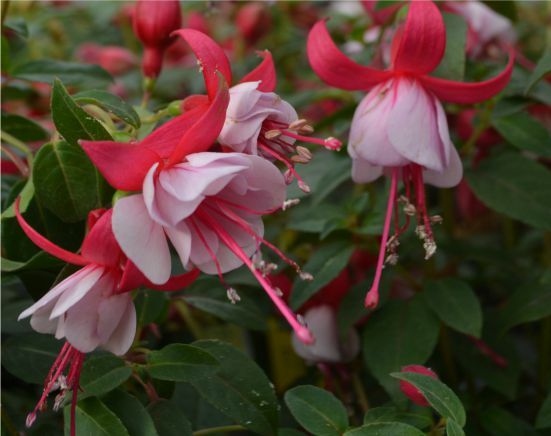 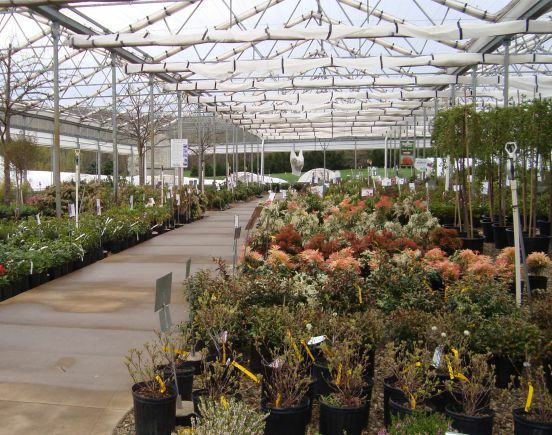 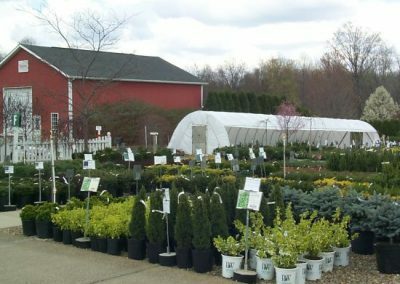 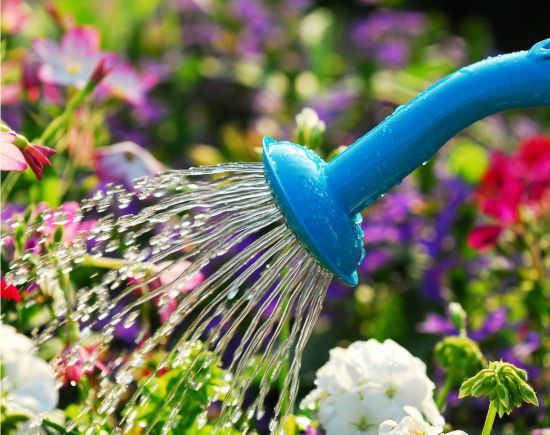 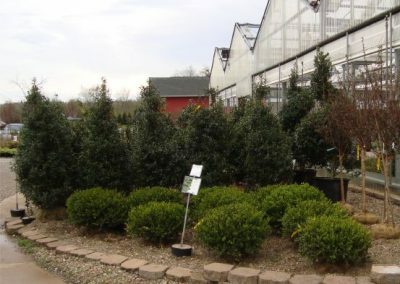 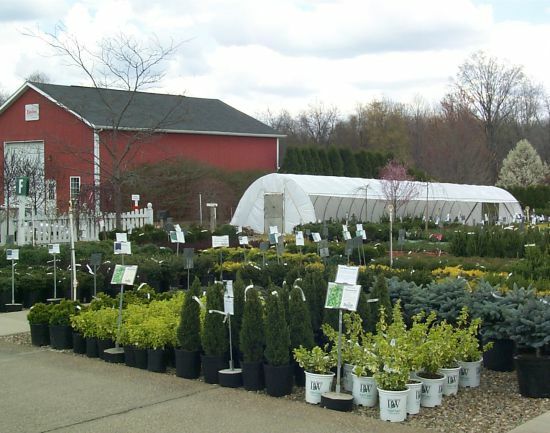 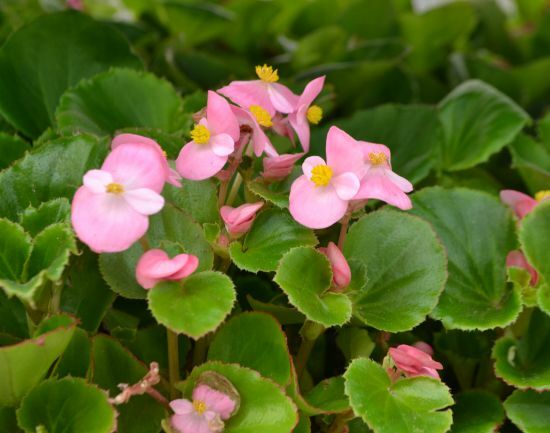 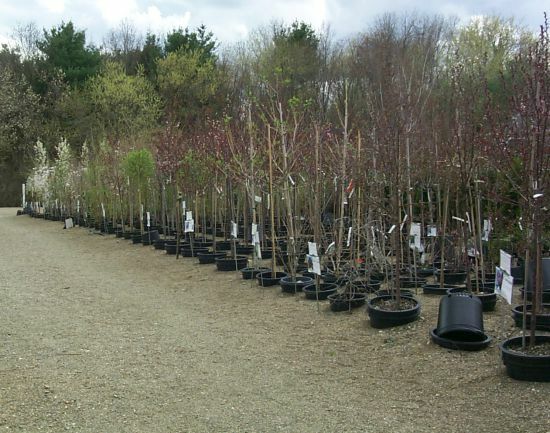 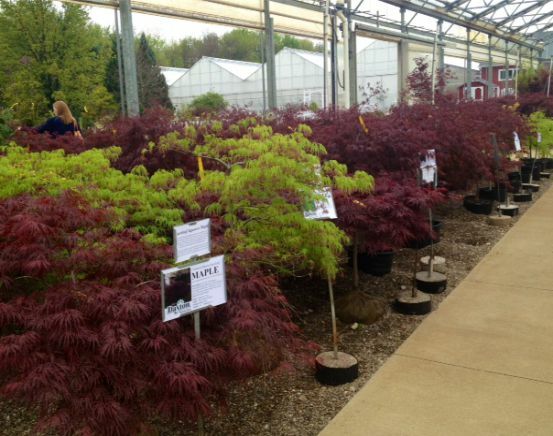 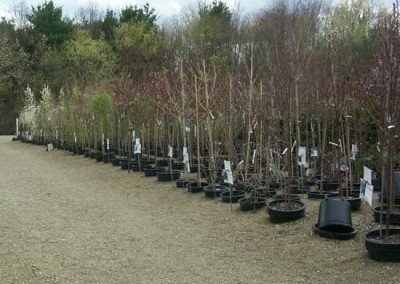 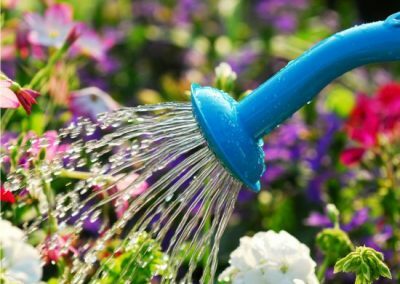 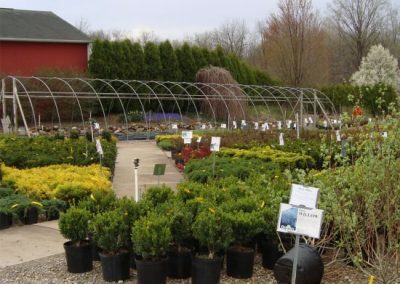 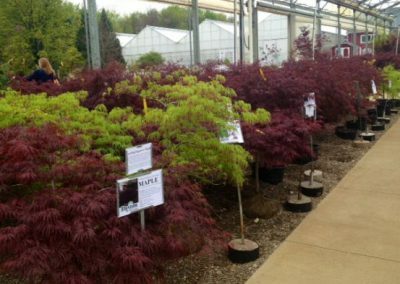 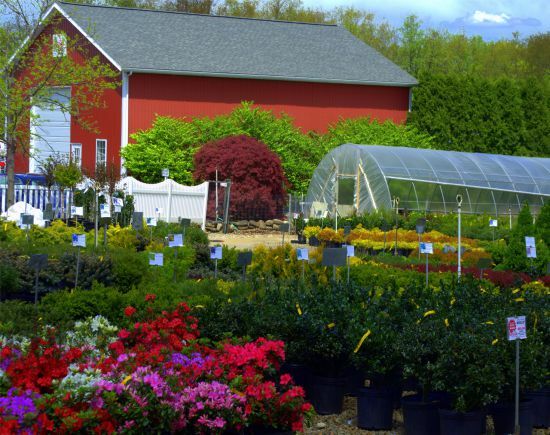 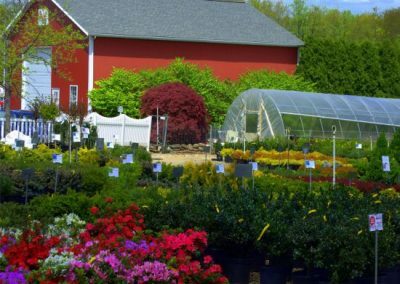 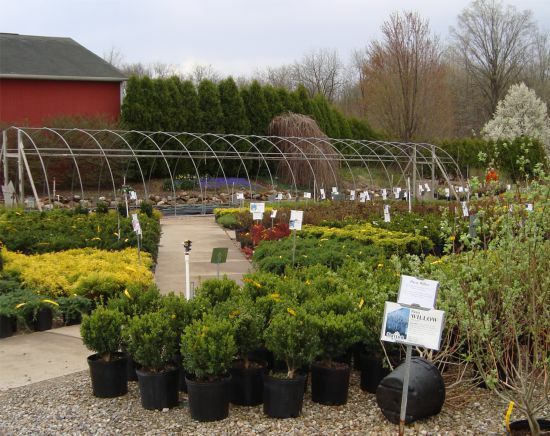 Whether you are looking for an Azalea, Japanese maple, weeping tree, evergreen hedge, dwarf flowering plant for the front of a window or an entire new landscape, we have you covered! 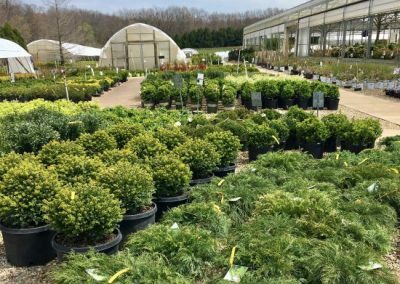 Thousands upon thousands of trees, shrubs, roses, evergreens and edibles can be found among our 14 acres from March through October. 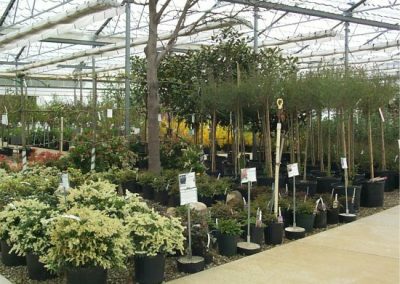 We are an authorized reseler for popular lines such as Proven Winners, Weeks Ross, David Austin English Roses and First Editions Plants. 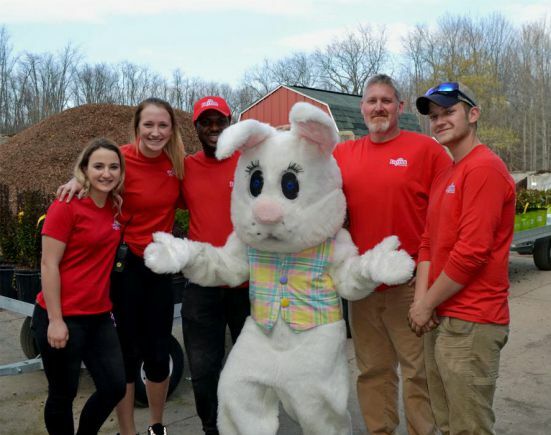 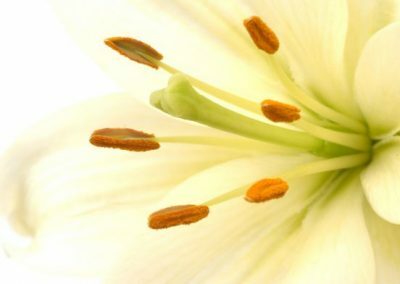 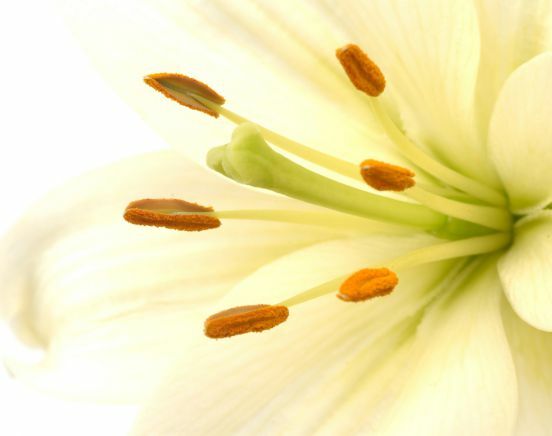 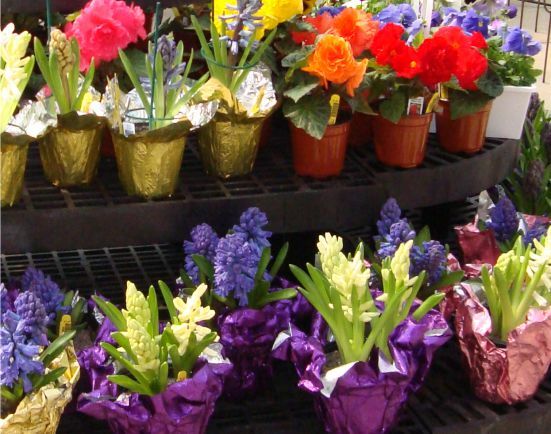 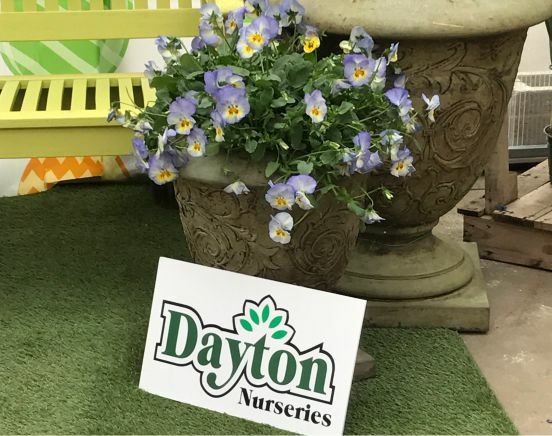 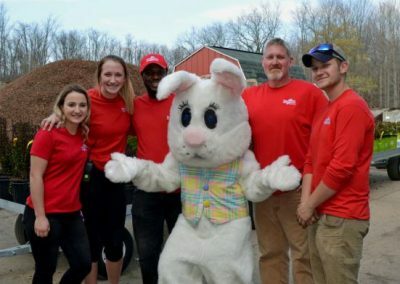 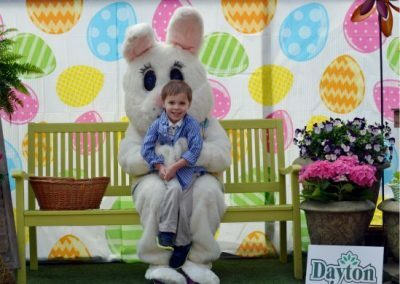 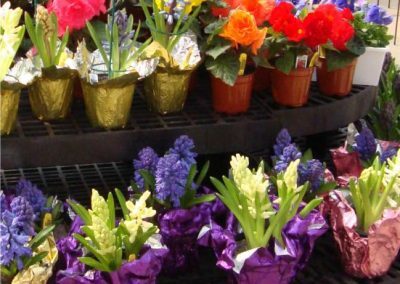 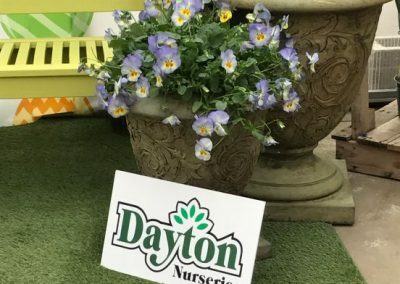 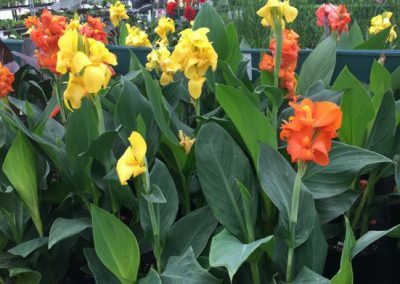 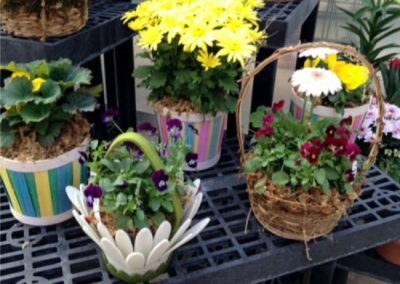 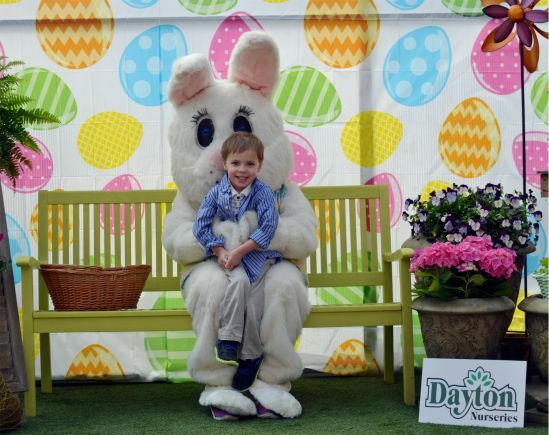 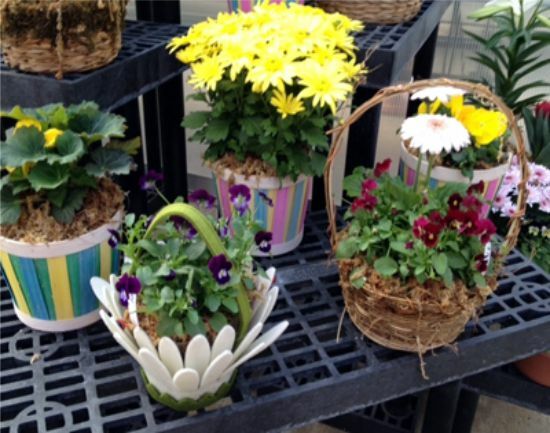 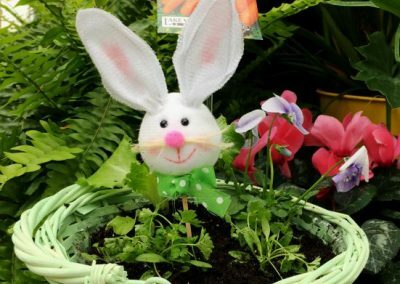 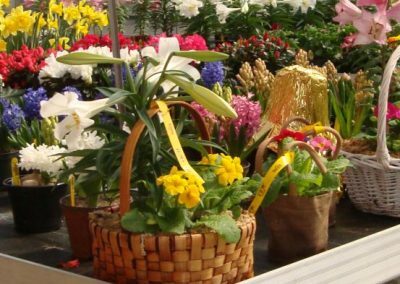 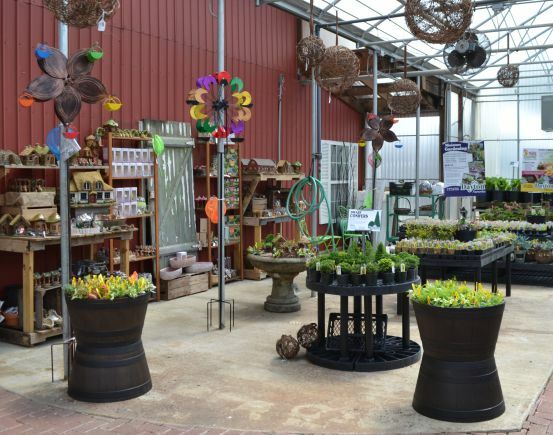 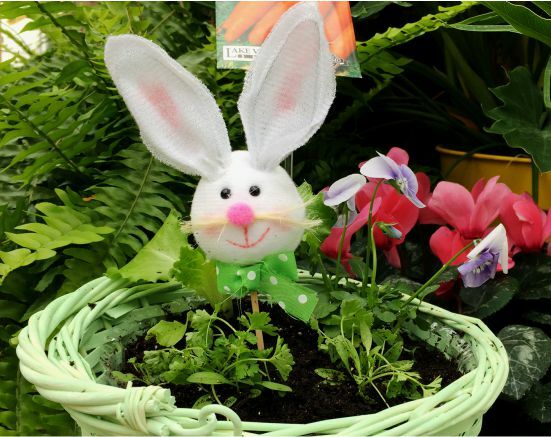 Easter time at Dayton’s is filled with fragrant blooming plants such as lilies, hyacinths and other spring bloomers such as tulips, daffodils and much more. 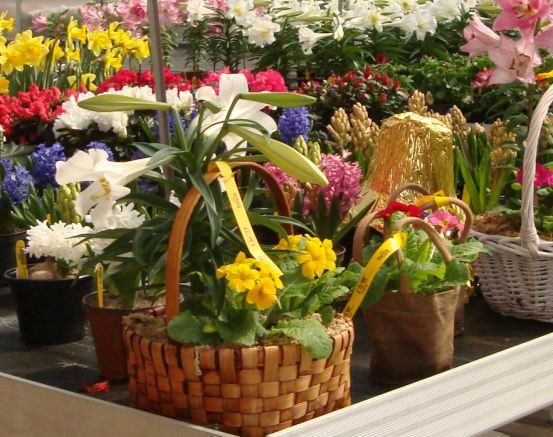 Please ask us about our Church discount and delivery service.